Arla Foods Ingredients has cracked the problem of hard protein bars with a new whey protein solution that stays soft for at least a year. Nearly half of US consumers (45%) purchased a high-protein bar in the past month, according to research. However, due to textural deterioration during shelf life – a common issue with high-protein snack bars – it’s likely that many of the bars had lost their soft and chewy texture by the time they were eaten. 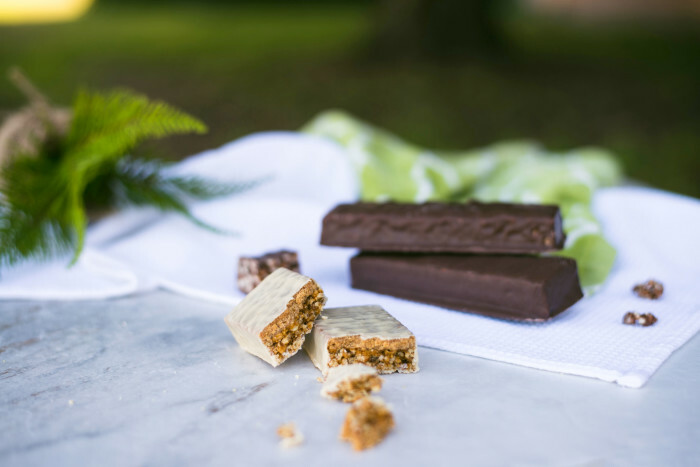 To address this challenge Arla Foods Ingredients has developed Nutrilac® PB-8420, a whey protein that ensures protein bars retain an indulgent cohesive (chewy) texture for 12 months or more in ambient storage conditions. Furthermore, the ingredient is all-natural and derived from cows’ milk – helping to keep the recipe simple and ensure consumer demand for clean and clear labels is met. To showcase the new protein solution, Arla Foods Ingredients has created a 28%-protein apple & coconut protein bar concept that is the perfect blueprint for sports nutrition applications. The bar will be unveiled on Arla Foods Ingredients’ booth (#4447) at IFT17 Food Expo in Las Vegas (26-28 June 2017). Protein-Enriched Chocolate Cookie – made with Nutrilac® YO-8075, a whey protein ingredient that guarantees an end-product that delivers a crunchy texture and excellent taste. This all-natural cookie concept delivers 20% protein per 100g, and is the perfect template for creating better-for-you treats. Despite the high protein content, this cookie solution offers easy dough handling and straightforward implementation in production facilities. Arla Foods Ingredients is a global leader in value-added whey solutions. We discoverand deliver ingredients derived from whey, supporting the food industry withthe development and efficient processing of more natural, functional and nutritious foods.We serve global markets within early life nutrition, medical nutrition, sport nutrition, health foods andother foods and beverage products.